Clay is passionate about chiropractic and it’s roll in restoring health and well-being to people at any stage in their lives. 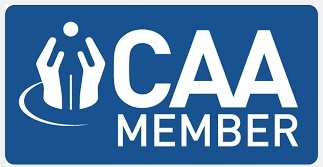 He enjoys treating a wide range of patients from sports athletes to families and children. His personal mission is to find the best method of restoring balance to the spine and nervous system of each patient. 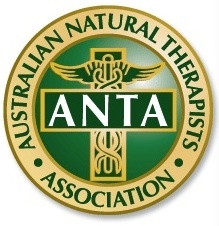 He combines a range of manual adjusting and low force chiropractic techniques to provide a specifically tailored treatment to suit each individual. Clay’s passion for chiropractic is driven by his own personal health journey. Throughout his childhood and teenage years he suffered health issues . He was treated by a wide range of medical and alternative practitioners, but had no long-term shift until he found chiropractic at the age of 20. So when it came time to hang up the dive fins from Pearl Diving, a career in Chiropractic was the exciting new direction! Exmouth has always been a special place for Clay, he met his wife Mary here back in 2002, and they have been living in the town on and off since. They both love the amazing ocean lifestyle that Exmouth offers, and the great group of people that have found their way here and call it their home. Originally from the UK, Mary moved to Australia in 2002, and found her way to Exmouth early that year. In 2014 Mary opened Exmouth Wellness Centre with her husband Clay, in order to bring Acupuncture and Traditional Chinese Medicine to the Exmouth community and visitors. As knowledge and understanding of Chinese Medicine grows within the Australian community, Mary hopes that more people will benefit from this incredible healing medicine. 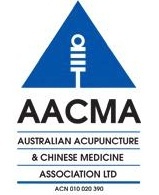 Mary is registered with AACMA (Australian Acupuncture and Chinese Medicine Association) and AHPRA (Australian Health Practitioner Regulation Agency). She loves Exmouth and the Ningaloo reef, because it feeds her insatiable appetite for freediving and surfing, the two things she loves doing most in her spare time. Edith is a Remedial Massage Therapist with experience in a variety of settings including day spas, gyms and allied health clinics. She is passionate about helping her clients and uses and integrative approach in her treatment plans to achieve optimal results. She specialises in; deep tissue, sports, remedial and trigger point therapy, but is also trained in reflexology, relaxation, pregnancy and lymphatic drainage massage. Edith is happy to uniquely adapt her massage style to meet the needs of her clients.